Visually ambitious filmmaker Tarsem Singh may have found a swell lead actor for his sci-fi thriller The Panopticon. The Wrap reports that Keanu Reeves is in talks to star in the film for Good Universe, which revolves around “a seemingly ordinary man who receives a mysterious package containing a pre-recorded message from himself, warning that the world is about to end and only he can save it.” He must work to piece together the puzzle before time runs out for mankind. Singh broke out in a big way with his visually arresting 2000 film The Cell, which he followed up with another aesthetically grand feature called The Fall in 2006. He made his first foray into the world of studio actioners to less-than-stellar results with 2011’s Immortals, and then helmed a take on the Snow White story with 2012’s Mirror Mirror. Hit the jump for more on Reeves and Panopticon. 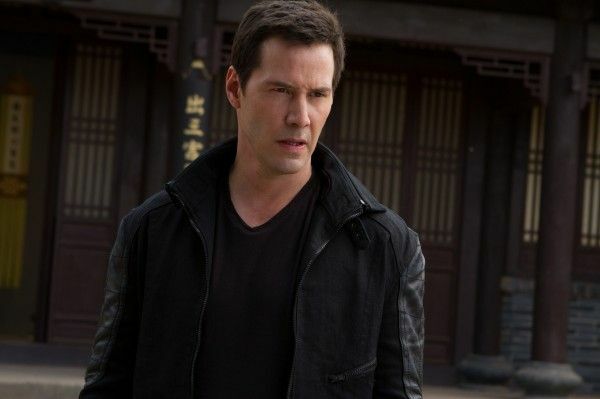 Per The Wrap, negotiations with Reeves are in “a sensitive stage” so there’s no guarantee he’ll sign on, but the actor is on a bit of a streak as of late. He most recently led the revenge thriller John Wick which enjoyed a positive response from critics, and he recently wrapped Eli Roth’s horror film Knock Knock. The actor was reportedly in the mix to lead Marvel’s Doctor Strange, but the studio opted to go with Benedict Cumberbatch instead. Singh most recently wrapped the thriller Selfless with Ryan Reynolds, which is scheduled to hit theaters April 17, 2015. With casting underway, it would appear that The Panopticon will be his next film.